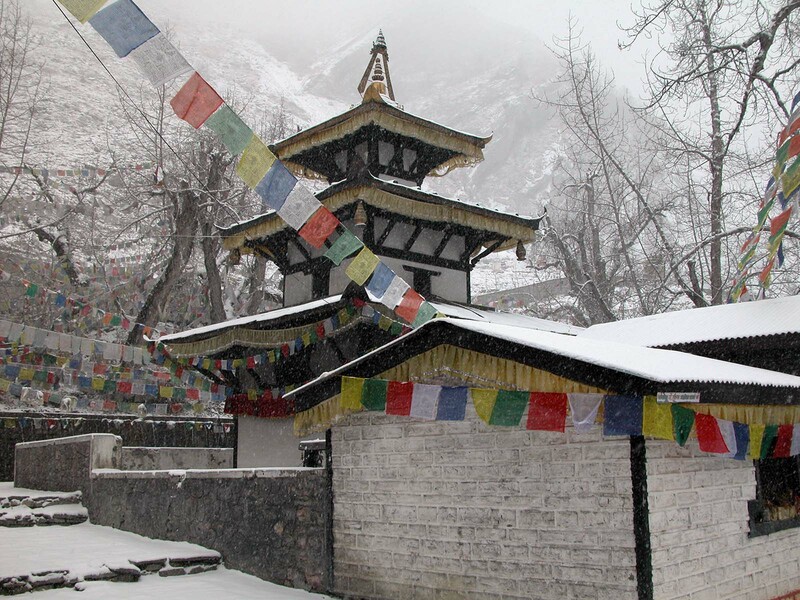 Annapurna Circuit Trek offers you an extraordinary experience of Nepal's landscapes, its diverse cultures, floras and faunas. The trek begins in the lowland in the rice paddy fields in the foothills at 840 meters (2,755ft) and takes you as high as 5416 meters (17,764ft) above sea level at Thorongla Pass. We can experience spectacular views of the snowcapped mountains towering above the lush green hills to desert like valleys that offer you opportunities for excellent pictures and memories to treasure. 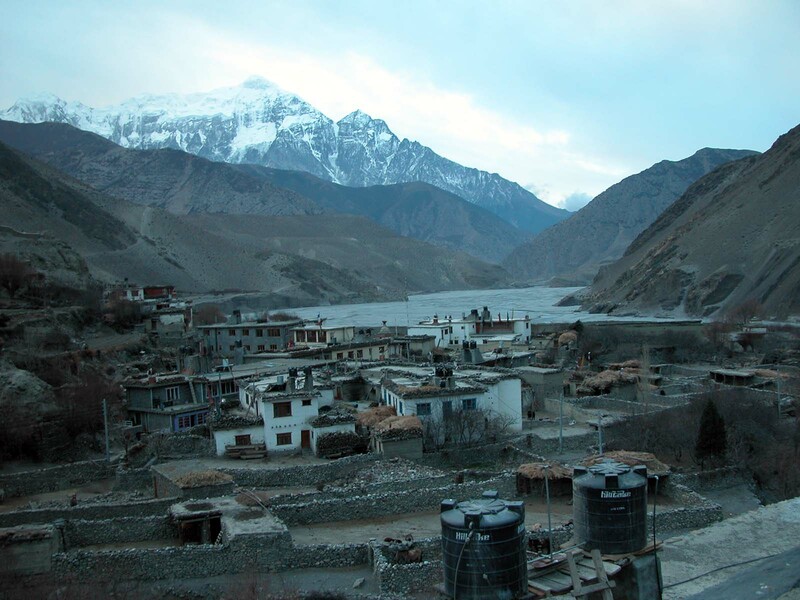 The trek ends in Jomsom, the world’s deepest gorge Kaligandaki River Valley from where you will take a flight to Pokhara and then to Kathmandu. This trek involves staying in the lodges for the night and trekking on the main trail from one lodge to another. Breakfast and dinners are served at the lodges where you spend the night. Lunches are served at local inns and restaurants while en-route. Local English speaking guide with experience will lead the trip and porters are provided to carry your luggage during the trek. Meet and transfer to hotel, check in and relax. Evening-trip briefing and welcome dinner. The free day allows you to overcome the jetlag. Options on this day are to do easy cultural tours visiting various Cultural World Heritage Sites to see ancient Nepalese arts and architect or simply relax. Breakfast at hotel and travel overland to Bhulbule for about 6-7 hours depending on traffic. We will stop en-route for lunch. Bhulbule is a small town located at the bank of the Marshyangdi River and surrounded by scenic farmlands and villages. We will hike to Jagat via Bahun Danda, a hilltop village and through scenic slopes, farmlands and villages. It is an easy hike at start and then a small uphill until we reach Bahun Danda. Then rest of the afternoon is fairly easy with small downhill, straight and uphill trails. In the afternoon we will cross over the Marshyangdi River to Jagat. 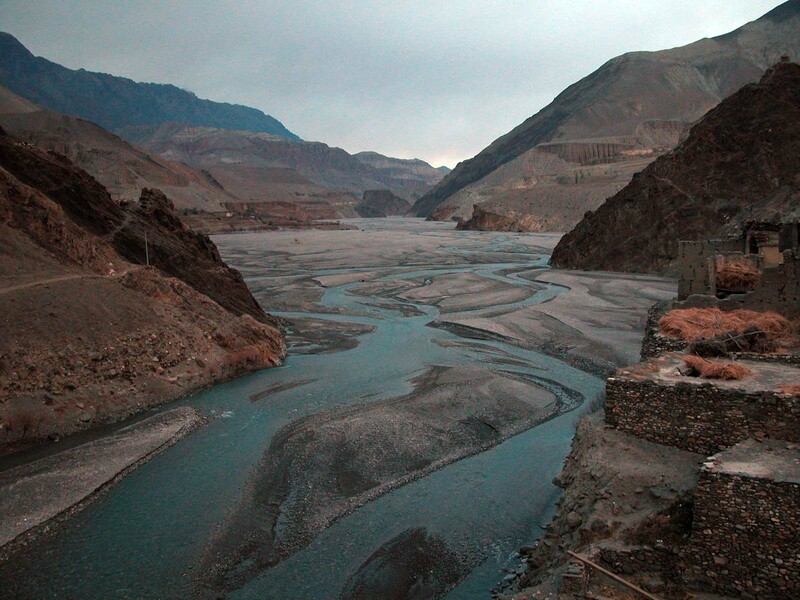 We will hike up along the Marshyangdi River crossing it twice by the time we reach our evening stop. It is a scenic river valley trail with sheer rock cliffs and scenic green. We will hike through open space and forest covered trails. Part of the time, we will also hike on the newly constructed road. 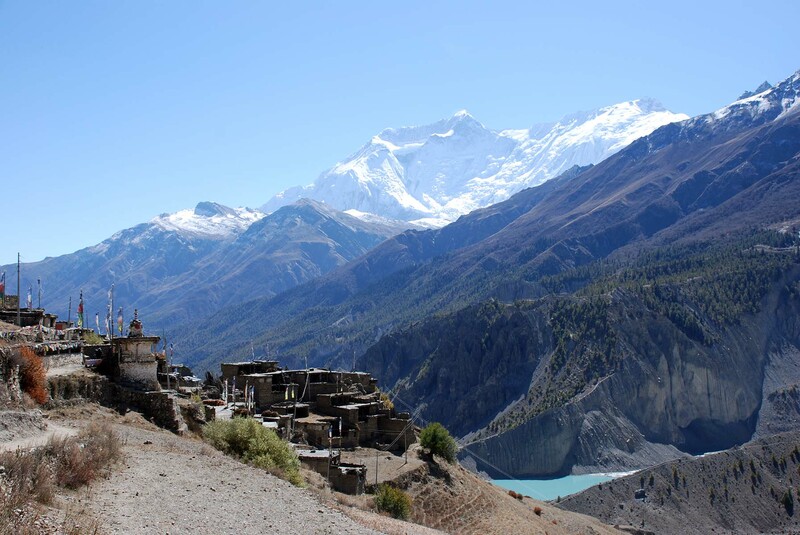 In the evening, we will reach the Manang District headquarter located at the Marshyangdi River bank surrounded by forest covered valleys and sheer rock walls. It has local lodges and teahouses of various standards. We will hike the beautiful evergreen and deciduous forest trail along the Marshyangdi River valley in the extreme lower slope of Annapurna two on the left and steep rock cliff on the right. Although we are hiking up and gaining nearly 2000 feet elevation, it is an easy trail. As we approach Dukur Pokhari, the valley opens and the scenery is breathtaking. It is then a flat to gradual uphill trail until we reach Pisang Village, where we spend the night. Today, we are hiking up this wide open valley of the Marshyangdi River and Manang with excellent mountain views. Today’s trail is mostly easy and flat except one small uphill before Humde Village. 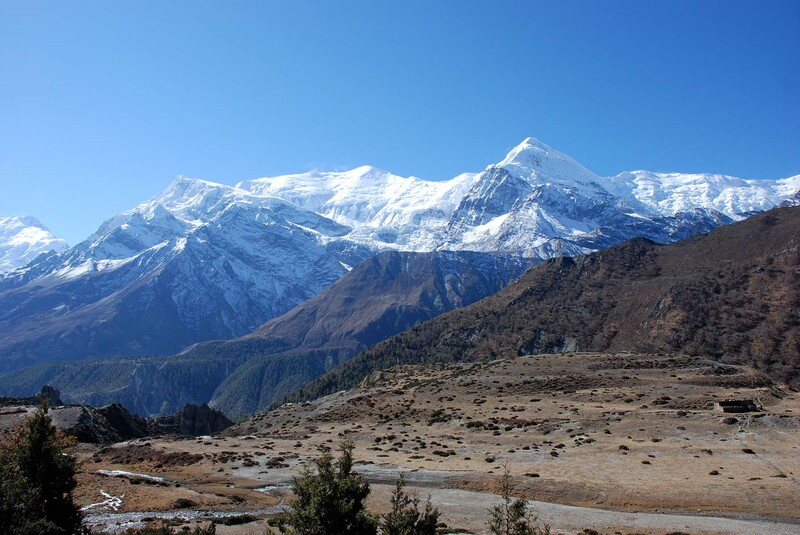 The view of peaks such as Annapurna II, III, IV, Gangapurna, Tilcho, Pisang and Chulu East are breathtaking. We will hike to Manang Village past Braga Village with a monastery in the cliff. Today, we will visit the Braga Buddhist monastery and then relax rest of the day to better acclimatize. 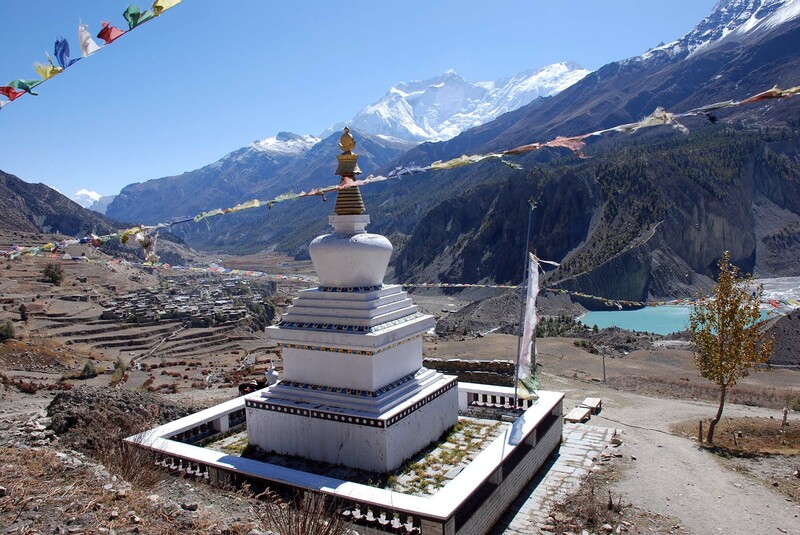 We will hike through the medieval village of Manang while enjoying the spectacular view of Annapurna I-IV, Gangapurna, Tilicho Peak, Manaslu range far in the east of Marshyangdi River gorge, Pisang, Chulu East-West and Thorung Peaks (locally know as Yakwakang 6482m on the right of the pass, Thorung Peak on the first left 6144m and Khatungkang 6484m immediate left of Thorung Peak). After we leave Manang and Ghusang villages, we will hike through Yak Kharka, which literally means Yak pasture where lodges and teahouses have been built to cater the growing number of hikers through this route. As we get higher, we will hike along one of the tributaries of the Marshyangdi River that begins in the Thorung and Chulu West glaciers. Now we are hiking the upper alpine belt where the common vegetation is mostly made up of juniper, barberries, Dwarf alpine rhododendrons and various other alpine scrubs. Mammals seen easily along this route are the herds of blue sheep. We will spend the night in Ledar. Early breakfast and trek to along the slope. The beginning part of the trail is easy. Then we hike through landslide area. Once we reach the original Thorung Phedi/base camp, we will hike a straight uphill trail until we reach the high camp. Upon arrival, we will check into our rooms, refresh, relax, eat a healthy dinner and sleep early to prepare for the next day. 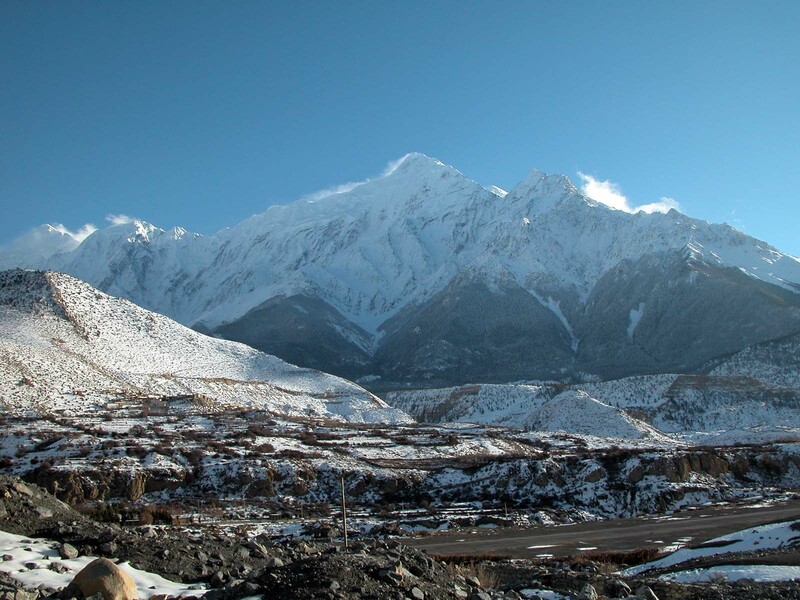 We will stop at the pass few minutes to take photos and enjoy the great views of Thorung peaks and Chulu West to East peaks as well as some of the peaks of the upper Mustang region. We will then hike downhill rest of the day. 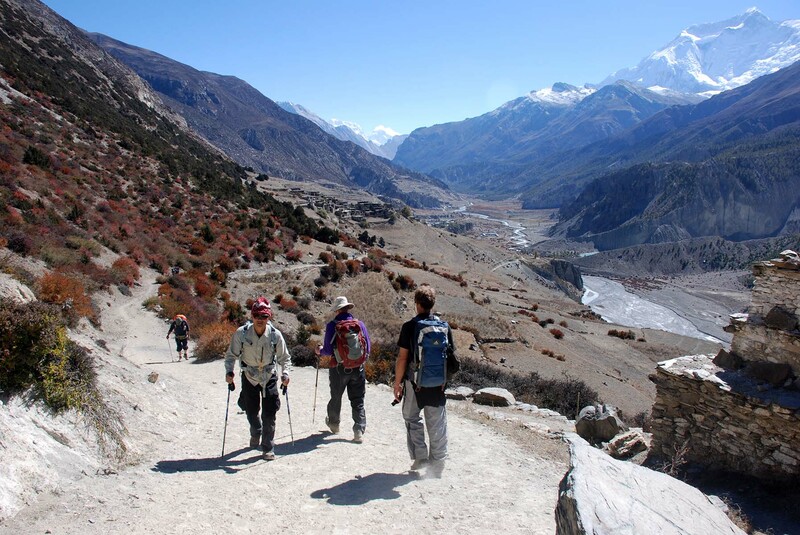 The upper part of the trail is rocky, but easy to hike on while the lower slope trail close to the Westside of the Thorung base camp is narrow and steep. 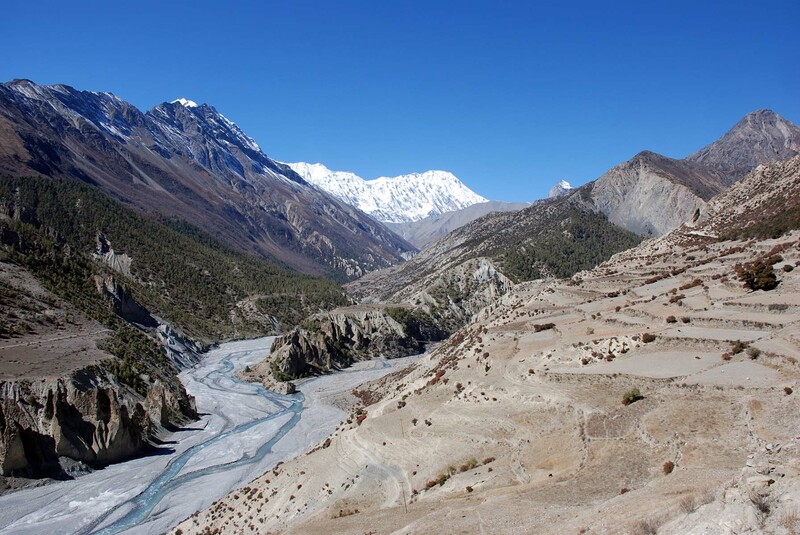 As we hike down valley to Muktinath, we will begin to see the vast Kali Gandaki River valley (the deepest river gorge in the world between two 8000m peaks, Annapurna one on the left and Dhaulagiri one on the right) with snowcapped peaks and brown rocky peaks. The Kali Gandaki River not only flows through the deepest gorge, it also is one of the longest rivers of Nepal with its origin at Nhubine Himal Glacier of Mustang Nepal -Tibet border area. 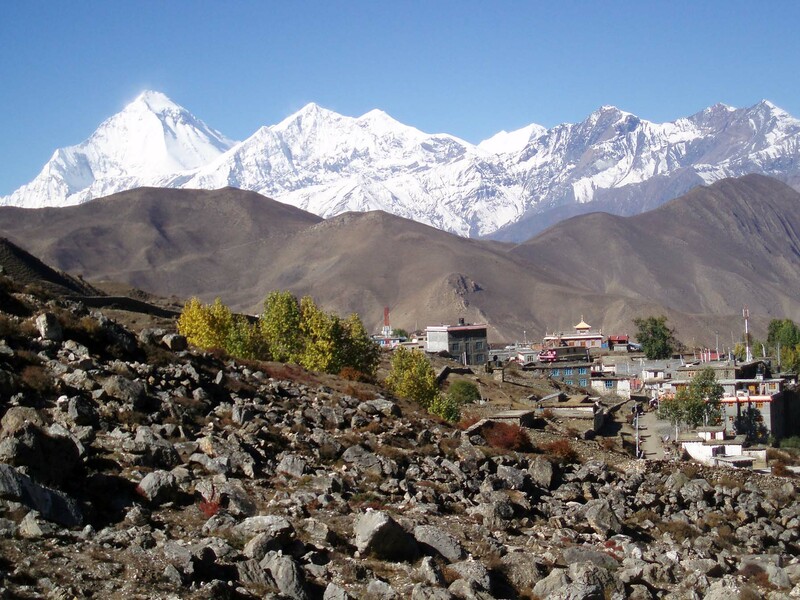 We will enjoy the majestic views of Dhaulagiri, Tukuche Peak, Nilgiri, Tilicho Peak and Thorung peaks. 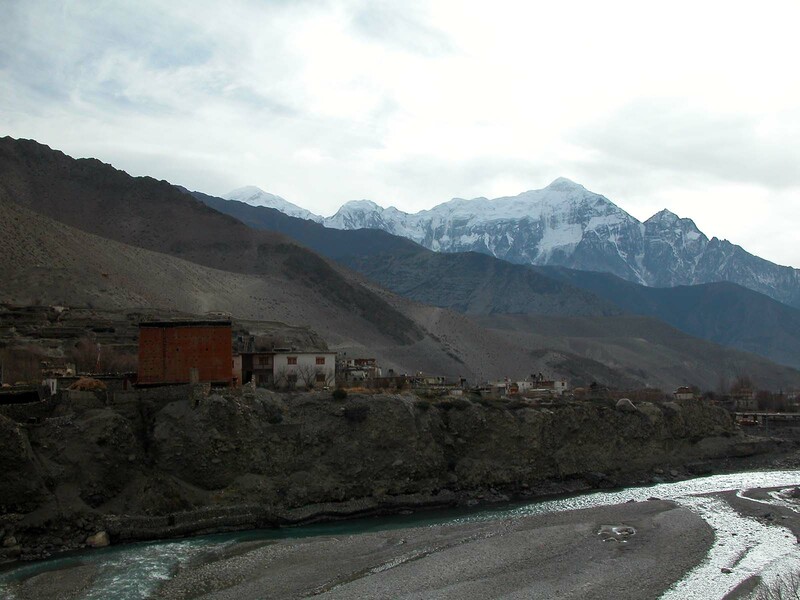 The whole region of upper Manang, Muktinath, Kali Gandaki River gorge and upper Mustang are rain shadow areas. Therefore, the people here construct their houses with flat rooftops using mud and stone as the main walls. Breakfast and trek a gradual downhill to Jomsom. 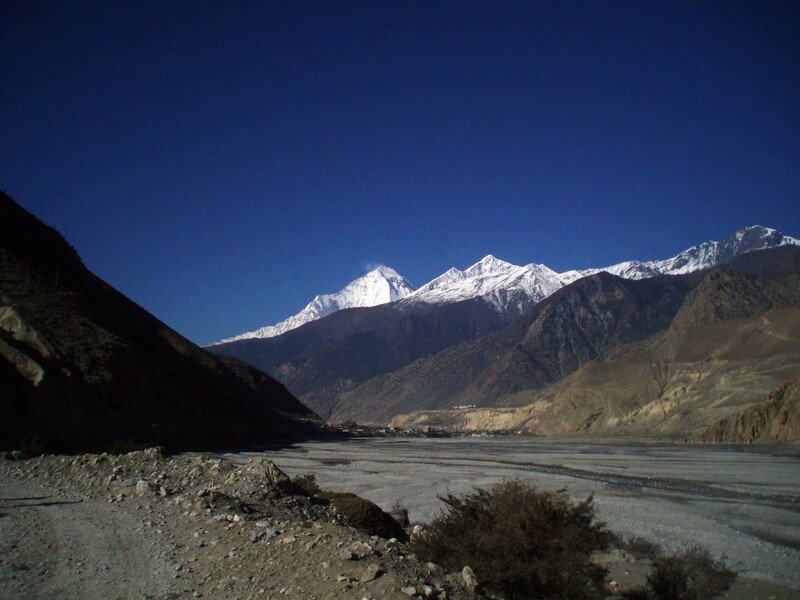 We will visit Kagbeni (9,200ft) village en route at the eastern bank of Kali Gandaki River. Kagbeni is the farthest point we can hike with normal trekking permit. The west side of Kagbeni begins the Upper Mustang trail which requires a special permit to trek there. Breakfast and walk to Jomsom Airport for check in for your flight to Pokhara and connect to Kathmandu. Arrive Kathmandu and transfer to hotel. Group farewell Nepali dinner at local restaurant. Breakfast served at hotel and then our complimentary transfer will take you to Kathmandu Airport for your connecting flight. Our service ends after we transfer you to the airport. Nepalese staff insurance, Nepal Government taxes (VAT), wages and salary, transportation, lodging, food, and high altitude equipment. Charges for delays caused by situations beyond our control such as bad weather, natural disasters, civil unrest, emergencies and helicopter rescue fees are not included in the trip price.